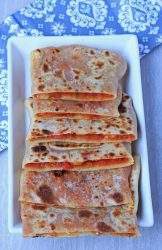 A very thin and flaky flatbread made with semolina flour and filled with a spicy tomato and onion mixture. When looking for a recipe to make with M, I kept skipping past the Mahjouba recipe as most of the recipe called it the Algerain Crepe. 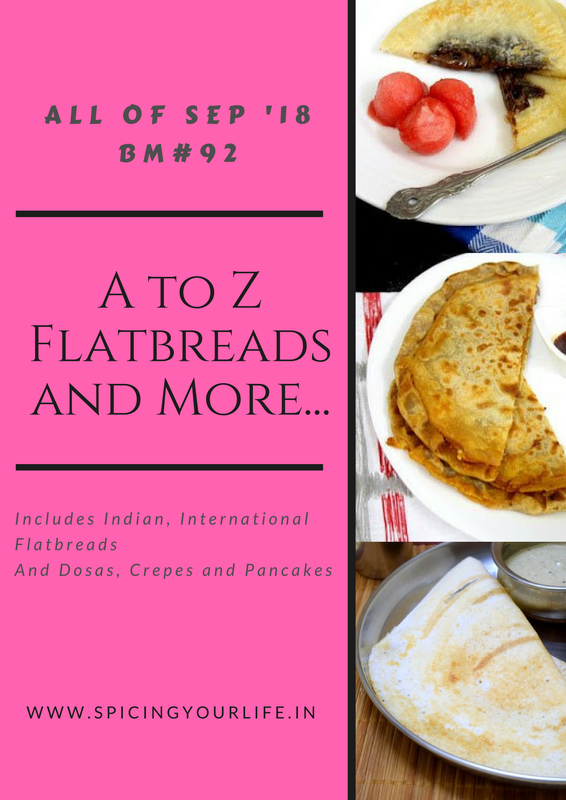 Finally out of curiosity, when I peeped into the recipe, I realized that this is a flatbread and it would fit my A to Z International Flatbread series perfectly. It was interesting to read that this is made with semolina. 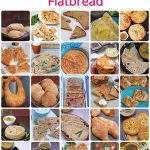 I have never tried to make a flatbread with semolina and was very eager to see how it will shape out. 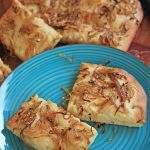 I always have a bag of Semolina flour in hand as I love to make my ever favorite (and one of my top most post) Semolina Bread. If you don’t have semolina flour in hand, use the finest semolina you can find or give the semolina a quick grind in the mixer. 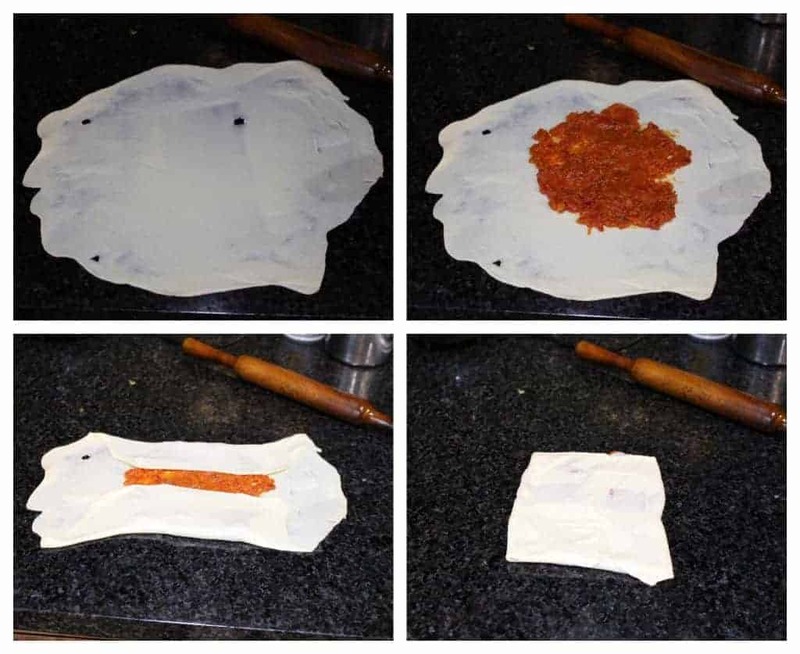 Making the Mahjouba with just the semolina can be a little tricky and the dough might tear a bit when stretching. In that case use a little bit of All Purpose flour along with the semolina when making the dough. I had no issues when making it with semolina flour and used just the semolina. It is important to knead the dough well until it is elastic to get the perfect thin stretched dough. 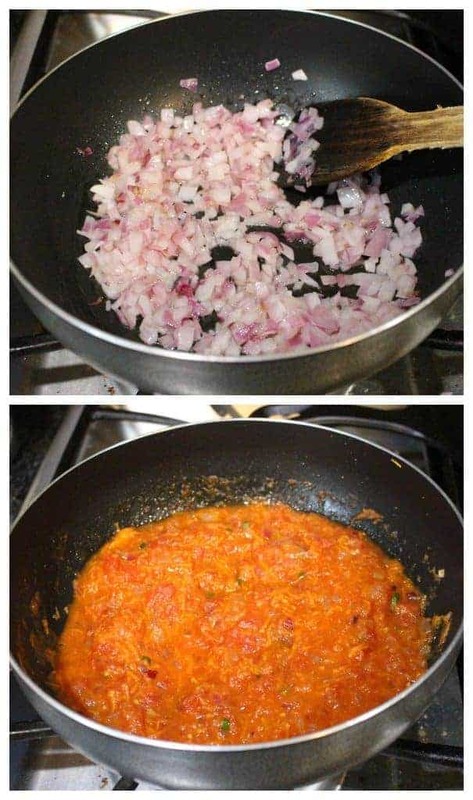 The filling was so similar to the tomato rice mixture that I make. It was a simple filling but yet so tasty. I used some green chilies to make it a little spicy. You could adjust the spice based on your preference. The Mahjouba was so flaky and it was perfect filling snack. My boys loved it as their after school snack and also suggested if I could make it for them for their lunch box. 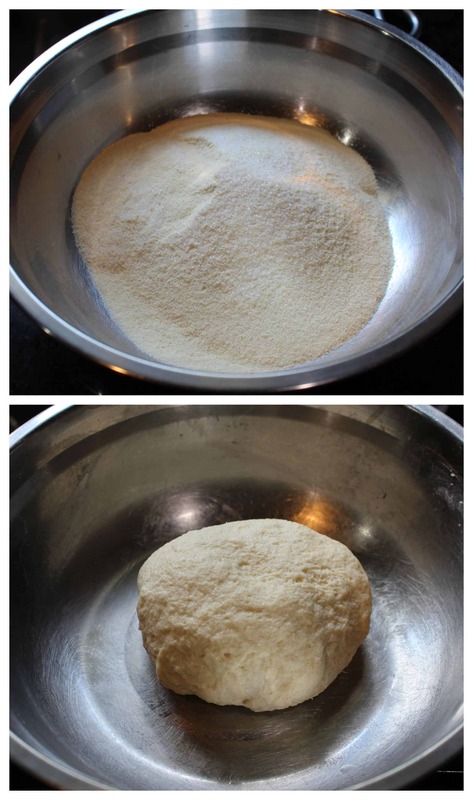 Combine the semolina flour and salt in a bowl and mix it together. Slowly add water to make a soft dough. Knead the dough for 6 to 8 minutes until it is elastic. Heat 1 TBSP of oil in a pan. When the oil is hot, add the finely chopped onions and saute it until translucent. Now add the grated carrot and saute for couple of minutes. Add the green chilies along with the diced tomatoes and let it come to a boil. At this point, add the salt and pepper, along with ketchup and cumin powder. If the canned tomatoes already has salt, just add enough to taste. Simmer and let the mixture thicken. It will take 15 to 20 minutes to get the right consistency. Let the filling cool down before we start assembling the Mahjouba. Divide the dough into 6 equal balls. Coat each piece with oil and place it on a greased surface. Spread the ball with the heel of your hand to form a very thin circle. Stretch the edges and make it as thin as possible. The dough has to be well kneaded and rested so it does not tear much. Spread about 2 heaped TBSP of the filling in the center and fold the two opposite ends to meet at the center. Now fold the other two ends to come to the center and form a envelope. Heat a flat griddle and spray it with some oil. 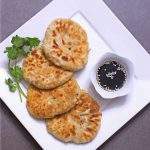 Place the shaped Mahjouba on the hot pan and cook it on both sides until golden brown. Let it cool slightly and then serve. 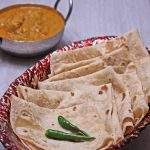 Looks fabulous and especially that filling sounds prefect for our Indian tastebuds na.. Lovely find Sandhya. 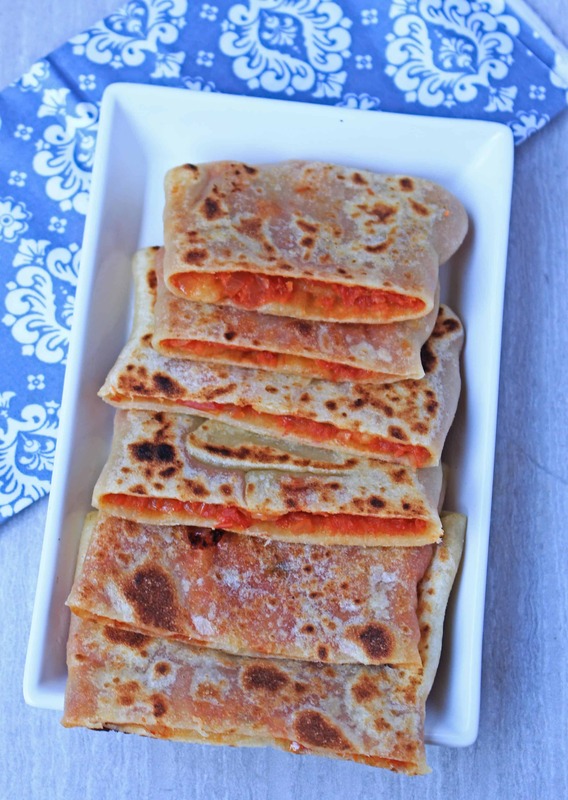 Prefect crepes to pack in anyone’s lunch box. That is a nice flaky bread with a delicious filling. 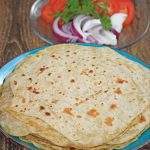 I guess we can use chiroti rava instead of flour. But not sure how stretchy it would be. Wow! 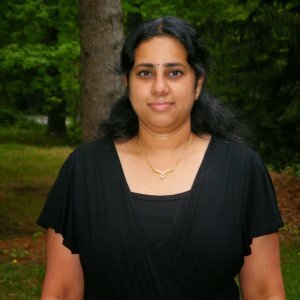 That is a great find, Sandhya. Looks more like the lifafa paratha but with different flour. Wow ! 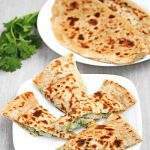 It might be a Algerian crepe but it definitely looks like our Indian Lifafa Paratha . Very interesting and attractive as well . The use of sooji and the tomato filling sounds really delicious . Very vibrant and a unique bread . Wow this looks interesting and a very good pick for the letter M. I guess if we have all set together for shortlisting, would have been flooded with ideas. 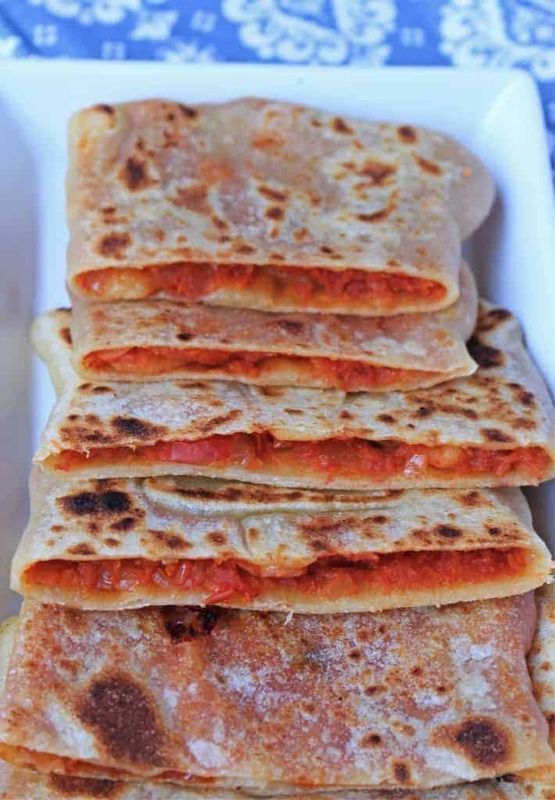 I would never be able to say no to such a delicious looking flatbread if it was served to me every single day. I too had thought that Mahjouba is a crepe like recipe. On the contrary its so different. Bookmarked. You have really great collection of international bread… all are just awesome… perfect meal. 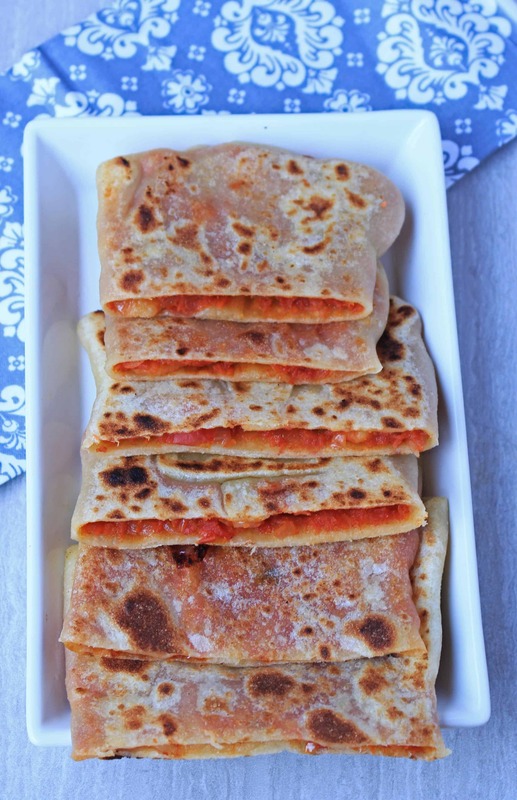 mahjouba algerian crepes with such a tangy spicy and salty filling looks amazing. I am sure that this semolina layer will taste great. 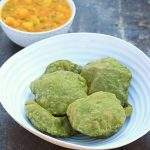 I loved this stuffing Sandhya. very tempting. 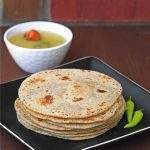 I too haven’t used semolina in flat breads. 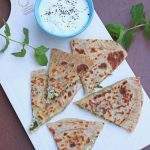 The texture of the stretched flatbread looks so much like our veechu parotta dough!And that tomato onion filling is really yum! 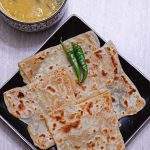 On the whole, a very delicious flatbread, Sandhya!